When Hollywood studios sit down to think about sequels to their films, I can’t imagine that they do much more than look at the final box office take before making their decisions, rather than lending an ear to the audiences that bought the tickets to the original movie. (A gross generalization, but one I’d love to be proven wrong on.) 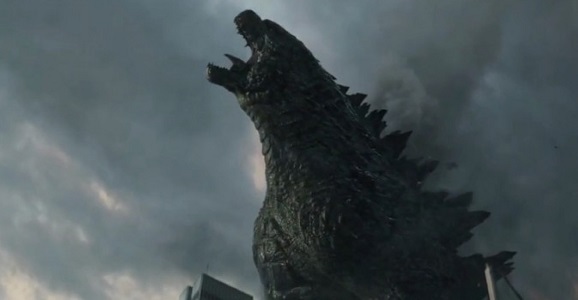 For proof on that, Legendary Pictures is bringing screenwriter Max Borenstein back to script what will hopefully be a monster-filled Godzilla 2. We were pretty big fans of Godzilla around these parts, but much of that love was directed at Gareth Edwards’ classy direction and the way he made a disaster movie that felt more personal to audiences. What was keeping it most unpersonal, though, was Borenstein’s script, which combined monstrous coincidences with some of the most boring human characters in creature feature history. Don’t get me wrong, Bryan Cranston knocked his small part out of the park, and the first 10 minutes made it seem like this was a story steeped in humanity. But then Aaron Taylor-Johnson stepped in and dull-mugged his way through one should-have-been-more-exciting sequence after another. On the plus side, though it appears Legendary’s Thomas Tull hasn’t been listening to audience complaints, it’s entirely possible that Borenstein has heard the winds of change calling. It’s almost counter-intuitive to think that a movie with more monsters — Mothra, Rodan and Ghidorah are confirmed to appear in the film — could possibly allow for more human-driven storytelling. However, the first film was pretty weak when it came to actually showing Godzilla in all his glory, and the human characters did more staring and running than talking. So really, there’s room for more everything here. Want someone funnier than me to explain it in a cooler voice than I have? Check out the video below. Borenstein is building a bigger career for himself, as he’s also lined up with Legendary for two other projects. One of them is Sergey Bodrov’s delayed fantasy adventure Seventh Son, starring Jeff Bridges and Julianne Moore. The other is King Kong’s return to the big screen, a film going by the name Skull Island, which recently signed Tom Hiddleston into the lead role. We’ll probably be able to get a better idea of how the screenwriter is maturing after that film comes out, since we’ll be waiting forever for Gareth Edwards to be finished with his Star Wars spinoff. Borenstein will likely have forgotten everything he wrote in the script, as Godzilla 2: Radioactive Boogaloo isn’t set to hit theaters until June 8, 2018.